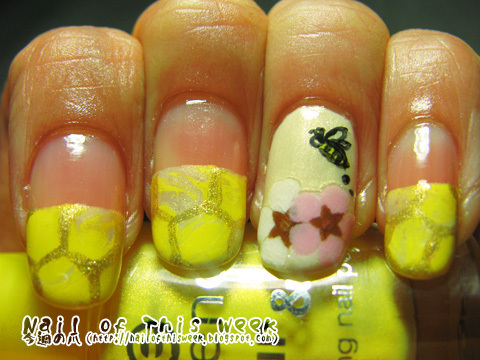 Summer Challenge #01: Bees : Nail of This Week. First theme of the Summer Challenge is…Bees! 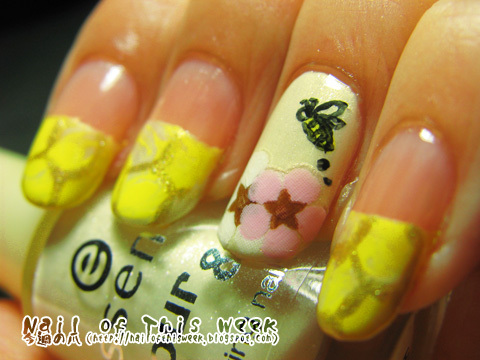 So here is my nail related on bees. 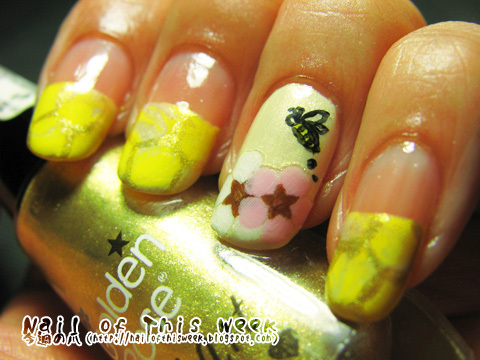 For the rest except ring finger, I made a marble straight french with pale yellow and vivid yellow, then drew honey comb with gold. 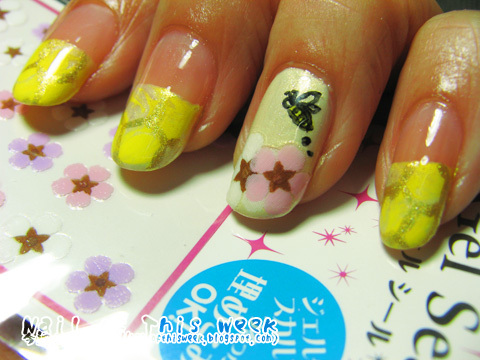 For ring finger, I coated with pale yellow, applied the thin flower sticker and then painted the bee with acrylic. So awesome! nice job. I used that same Essence Wanna Be Your Sunshine too! Cute! =) I love the combs! Such a cute idea to do the honey combs as a french! Love it!